Steem Torch is an experiment to demonstrate the speed and trust in transferring value on Steem social network. Steem Torch Keeper is a user who received a Steem transfer with "Steem Torch Experiment..." memo and is about to pass it to the next user. And very grateful to @stackin for getting me involved. Awesome project!! Thank you @jongolson for participating. Yes, it will interesting to see how it keeps moving. Thanks to some rather sizable additions the torch is already looking more like a fireball! It's been changed to 1337, still high I think. As themarkymark pointed out end count was changed to 1337. That number was per your suggestion and Acidyo's prediction. I guess I was overly ambitious with the number. I think this current number is realistic, and probably it will move faster as more people become aware of the experiment. 0.001 if it lands on me again! Exactly! 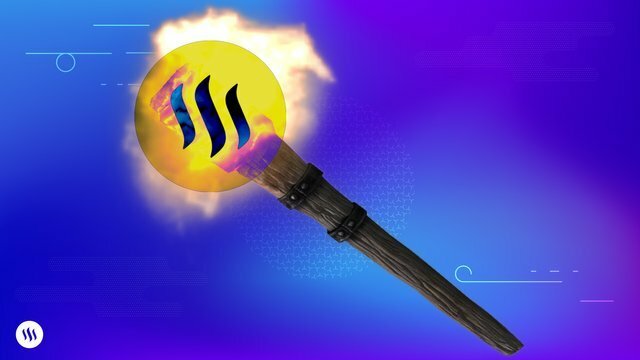 Our steem Torch has evolved into a fireball! That’s huge progress. The Steem Torch is a great idea for the blockchain, thanks for thinking of it @geekgirl ! Thanks 🙏🏽 @geekgirl, I’m also following the smooth transition of the torch, it’s really fun for me. Hopefully @steemcafe will soon transfer the torch to another awesome personality! Thank you for following it. What happens with the steem? It is explained in the SteemTorch Rules post. The 1337th torch keeper will get to decide whether to donate to Steem based charities or projects, or distribute to minnows, or burn. This is a crazy cool idea! Loving this! Fantastica iniciativa para dar a conocer Steem. Me gustaria saber que pasos hay que seguir para tenwe el honer de partocipar y ser portador de la antorcha. Gracias. Los guardianes de la antorcha deciden a quién pasarla. Con suerte, te llegará también en algún momento. Wow!! this is a great social experiment!